What happened? Louis Vuitton couldn’t resist the trend of quilts? And now they’ve finally decided to take a shot. 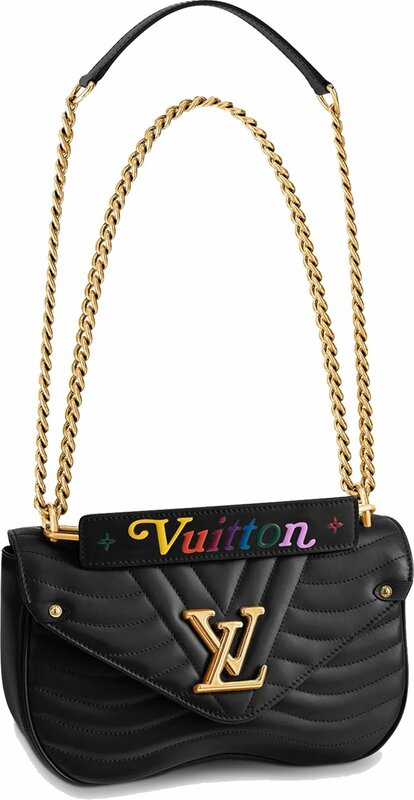 Introducing the Louis Vuitton New Wave Chain Bag from the Fall Winter 2018 Collection. This new bag is so much more than just diamond quilting. The rainbow colored handle is the proof of its playfulness. 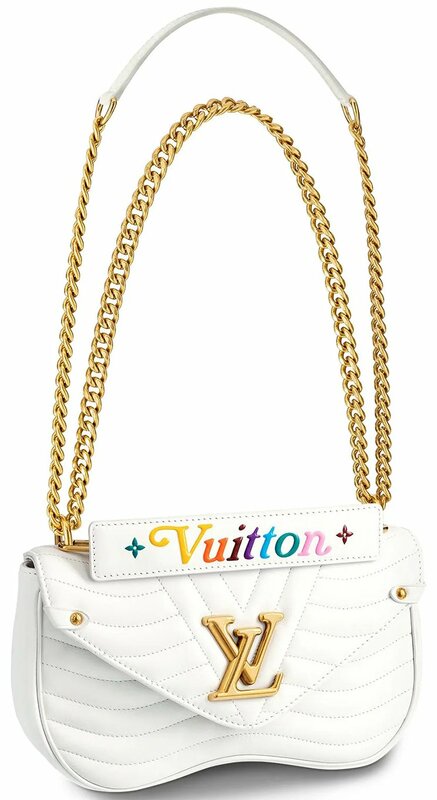 But it’s very rare that Louis Vuitton enters the fashion of quilting. 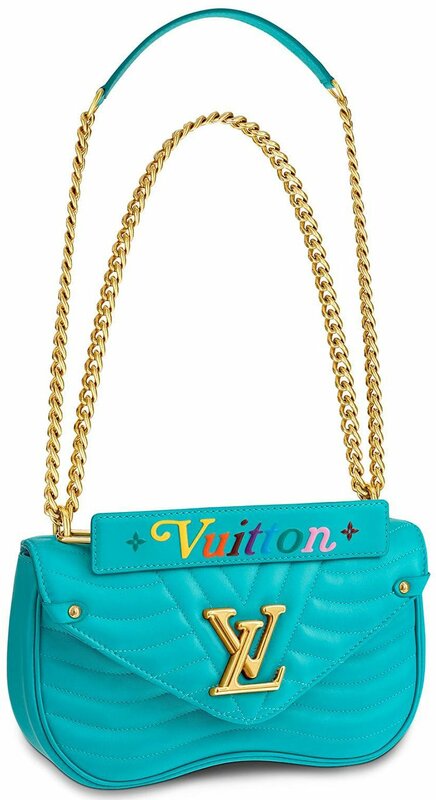 And if this trend continues at the house of Louis Vuitton, then we need to get used to it first. Because quilting instantly remind us of Chanel. 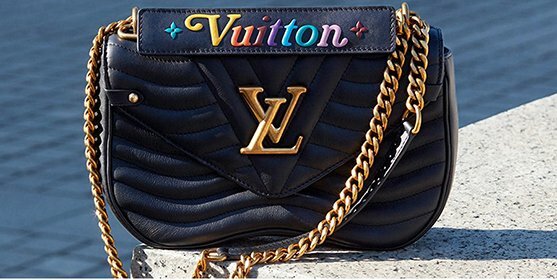 Then unique quilting like diagonal quilting or wave quilting, it reminds us of Saint Laurent, especially when the bag is crafted in black shade. 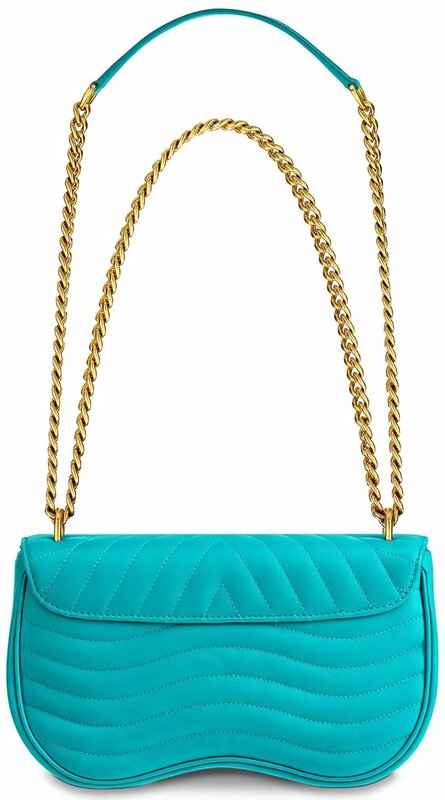 If you look closer, the New Wave Chain Bag is built with curvy shape. It’s almost like heart-shape with round edges. The quilting is also quite distinctive. 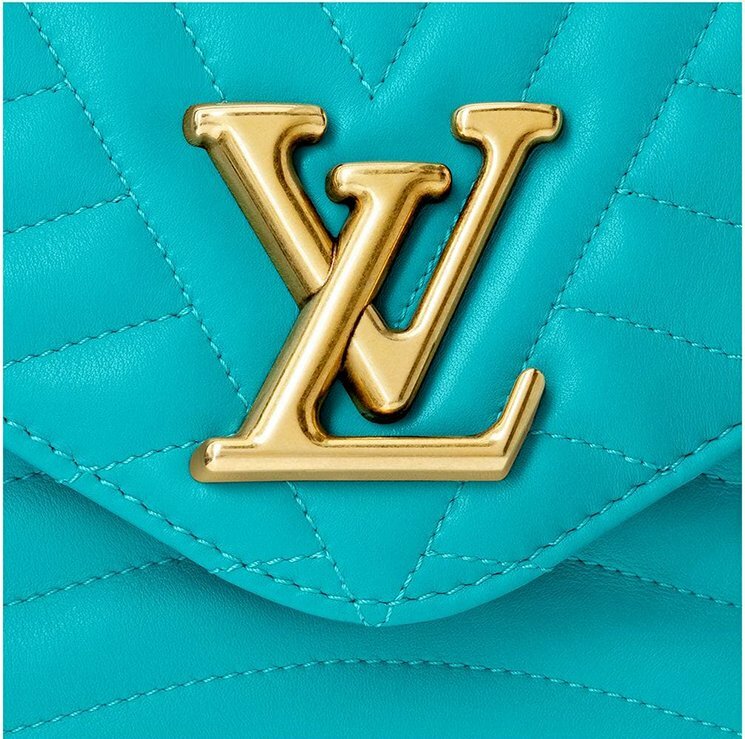 The center flap is crafted with the LV logo in 3D, but look at the background as the quilting forms the V shape. The rest of the body is made with horizontal wave quilting. This handbag is quite sophisticated, because there is more. The sides of the flap is refined with small pieces of gold hardware. 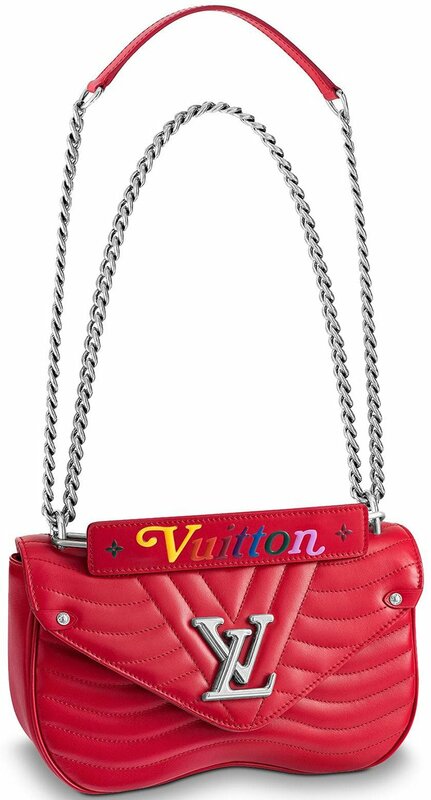 The top comes with a leather handle, stitched with the Vuitton signature in rainbow colors. This on-trend detailed handle is detachable. But of course, the New Wave Chain Bag is a shoulder bag, because the jewel-like sliding chain can be adjusted for multiple carry. For example, adjusts the drop for long or short shoulder or just carry cross-body. Made from smooth calf leather, this refreshing handbag is a mix between classic and playfulness (or urban chic). If you put the handle on, then the bag transforms into a nice youthful (playful) bag for the day or night. When the handle is removed, the bag changes into a serious, business-like quilting handbag for work or daily use. 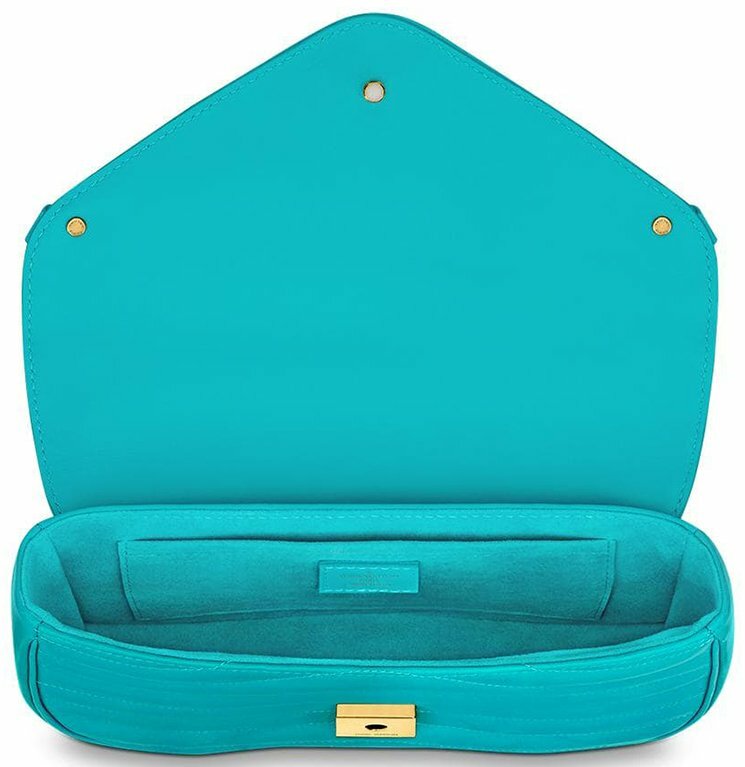 The inside is made with a main compartment including a flat pocket. Prices: $1990 USD, $2540 CAD, €1490 EUR, £1390 GBP, $16600 HKD, $2730 AUD, ¥236520 JPY, 14800 CNY. Prices: $2270 USD, $2860 CAD, €1860 EUR, £1560 GBP, $18800 HKD, $3100 AUD, ¥266760 JPY, 16700 CNY.